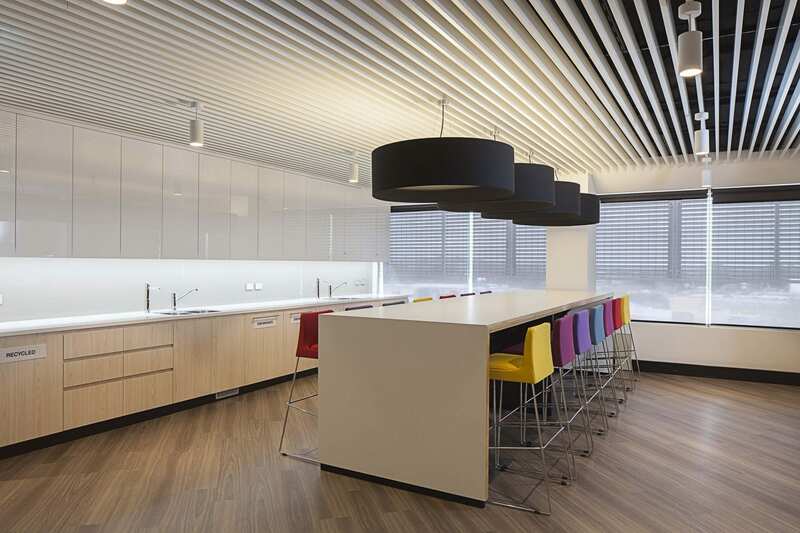 Custance undertook a Strategic Facility Planning assignment to forecast space for a state wide consolidation of Dept of Education’s Human Resources ofﬁces. 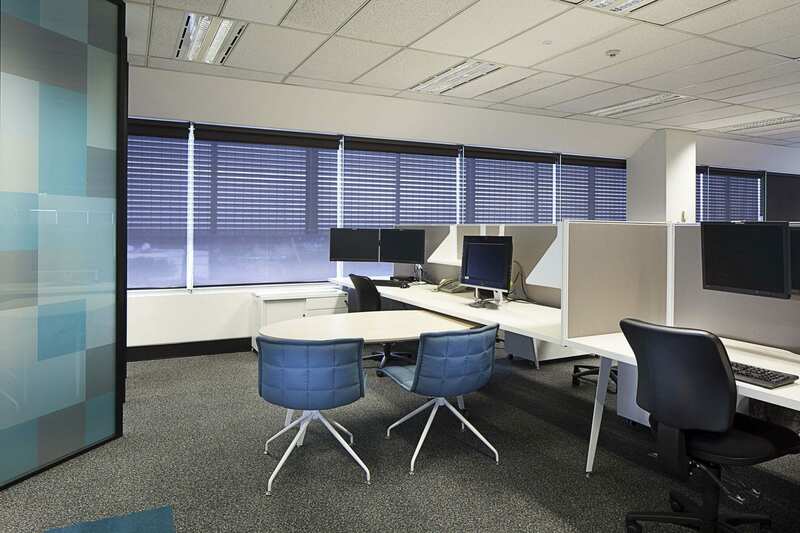 After conﬁrming via a test ﬁt that the western Sydney HR Shared Service Centre could ﬁt in a ﬂoor and a quarter at 22 Main Street, Blacktown, Custance were commissioned for the interior design of the new ﬁtout. 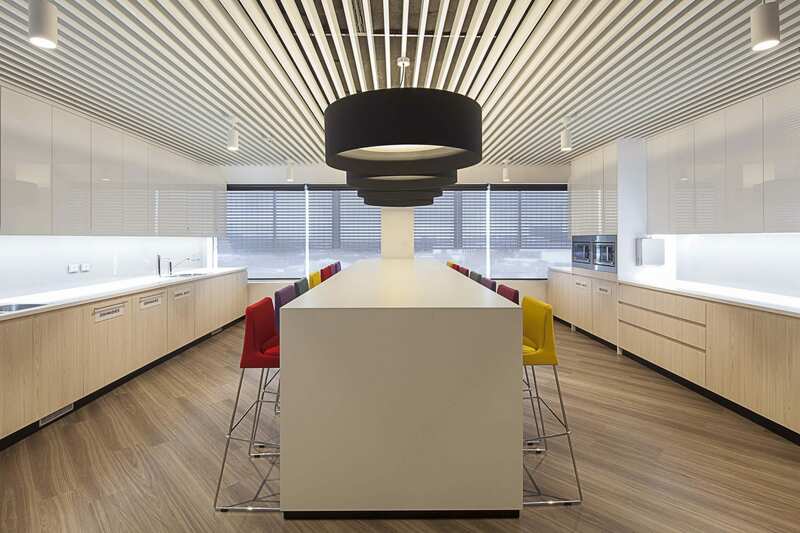 The new ofﬁce implemented the ﬁrst totally open plan ofﬁce design for the HR division with a variety of formal and informal support and meeting spaces to support their new collaborative work processes. The modular, linear workstation layouts can be readily conﬁgured for standard work positions or double work positions for managers and offer full technician height adjustability to all positions. 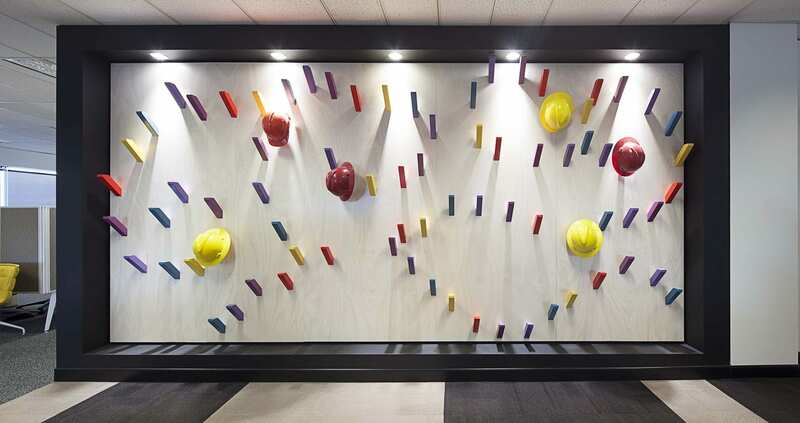 References to the core mission and values of the HR division within the Dept of Education were integrated in to the design with school references such as hand print ﬁlm on glass graphics and colourful coat hooks in a feature wall at the entries alluding to class rooms and children. 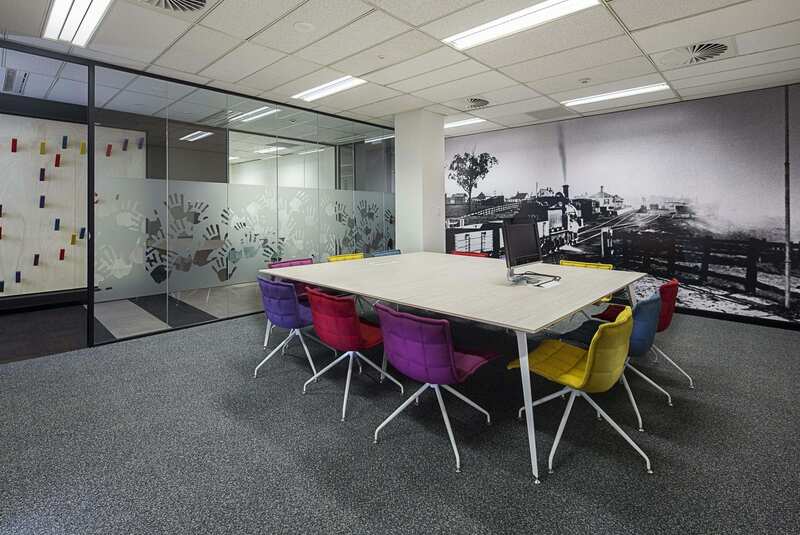 Historical references to Blacktown were investigated and also incorporated in to the new design via feature graphics in meeting rooms and staff breakout areas to tie the ﬁtout in to its locality. 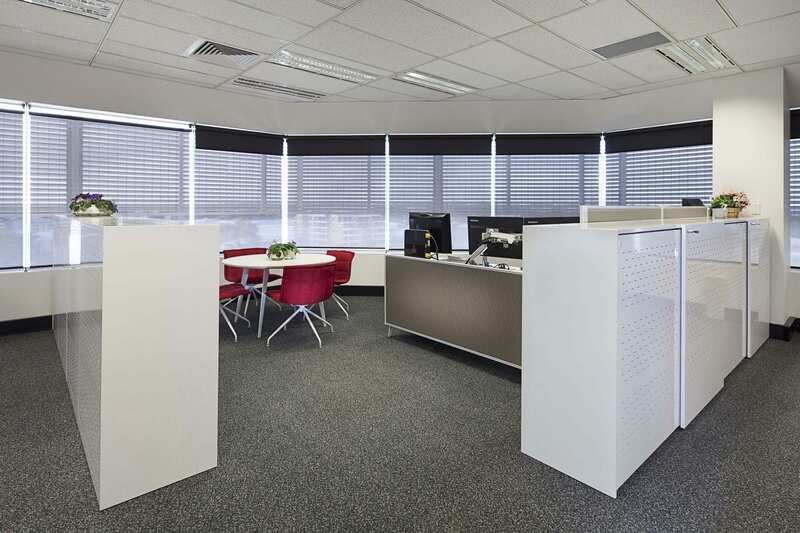 As well as quiet rooms and a variety of small meeting rooms located around the core, ad hoc casual meeting areas were placed in the corners to promote collaboration in a more relaxed environment. To further amalgamate several previously diverse business groups a substantial central staff breakout area was created on the eastern perimeter. 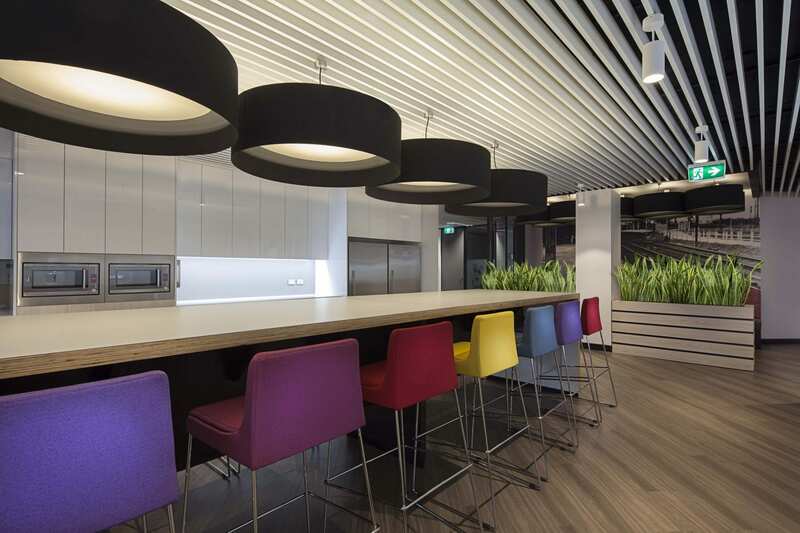 This featured a long communal eating bench as well as separate table settings to offer a variety of breakout options along with generous twin kitchen benches on opposing walls to cater for peak lunchtime loads.